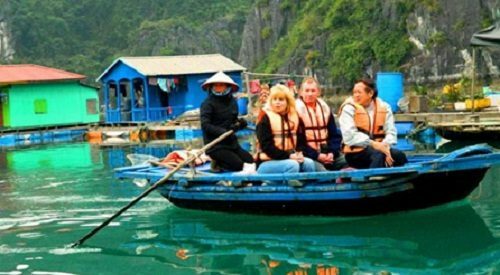 How to get Bai Chay in Halong from Hanoi by motorbike? Home / Blog / How to get Bai Chay in Halong from Hanoi by motorbike? From Hanoi, there are two routes for you to get Bai Chay in Halong when travelling by motorbike. The first route: It is about 150 kilometers if you choose this route. It takes you from 3 to 4 hours to getting Bai Chay in Halong from Hanoi by motorbike. From Hanoi, you can move through Long Bien Bridge to get Nguyen Van Linh Road in National road No.5. You continue controlling your motorbike follow national road No.5 to get Hai Duong city. Then you continue moving to Quan Toan intersection in Hai Phong, you turn left to National road No.10. Following National road No.10, you will get National road No.18. Moving along National road No.18, you will get Hoang Quoc Viet road. From Hoang Quoc Viet road in Quang Ninh, don’t stop, you just need to move along Hoang Quoc Viet to a T-junction (Bai Chay- Suoi Mo). It is Bai Chay and from there, you can choose any place to visit or continue moving. 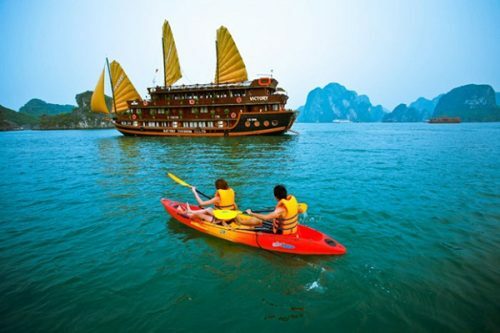 What to do in Bai Chay- Halong? Travelling to Bai Chay by motorbike, you can absolutely move by bike to highlight places there. First of all, you should immerse yourself into green fresh water in Bai Chay. The best time to travel to Bai Chay is in summer. Beaches in Bai Chay are so fresh and beautiful. Besides Bai Chay’s beaches, you should visit Halong night-market, buy some souvenir like windy chimes that are made from conches, seashell or you can buy some pictures or handicraft products that are made from coal. Bai Chay has Bai Chay Bridge is the most famous. This bridge is very sparkling in night. 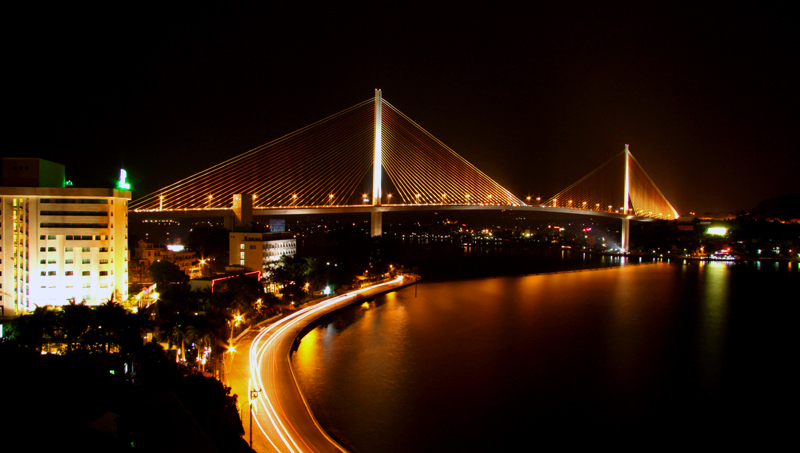 So you don’t miss walking on Bai Chay Bridge, feeling peaceful atmosphere there in night. How about eating in Bai Chay- Halong? There are so many delicious foods for you to choose. You can go to night-market in Bai Chay or food area at night in Ben Doan Street, Hong Gai ward in Halong city; there have so many cheap and tasty foods. If you eat in restaurants, you can go to Kim Quy, Hai Dang, Thien Anh, Phuong Thuy restaurant in Cai Dam area or you can choose Huong Duyen, Phuong Loan, Ngoc Lan restaurant. In these restaurants, foods are tasty and the price is reasonable. You can feel free without worrying of overcharged. 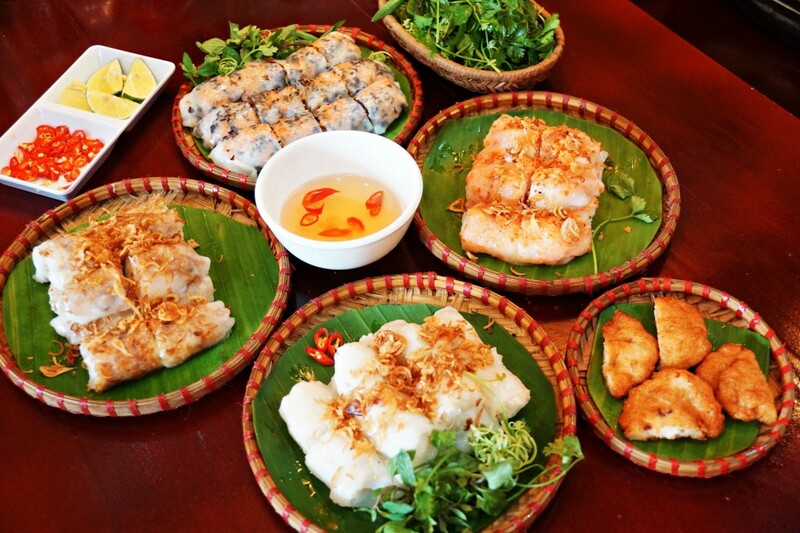 You can easily find out Halong’s specialties such as shrimp, fish, Co To squid, Banh Cuon Cha Muc (Stuff pancake with squid ball), Xoi Cha Muc (Sticky rice with squid ball) and many other sea foods in night market. You would like to rest in Bai Chay in night, I have some suggestions to you about accommodation in Bai Chay. If your budget is limited, you can rent some hotels with cheap price such as Halong Happy Hostel (Khách sạn Hạnh Phúc Hạ Long) in No.25 Anh Dao road, Bai Chay town, Halong. You can book in advanced the room in The Light Hotel Halong in 108A Vuon Dao road, Bai Chay town in Halong. 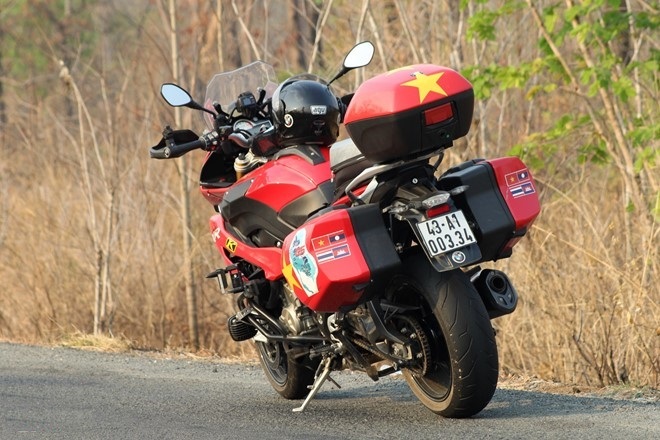 In order to have a good trip by motorbike to Bai Chay from Hanoi, you need to have good preparation. First of all, you should be a good motorcyclist. That mean, you have to be good at controlling motorbike and know well of the way or schedule you intend to come. 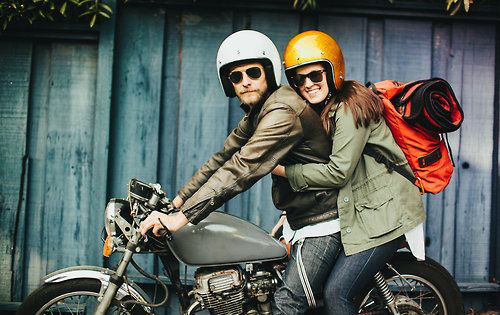 One more important thing is that you have to own a motorcycle license. 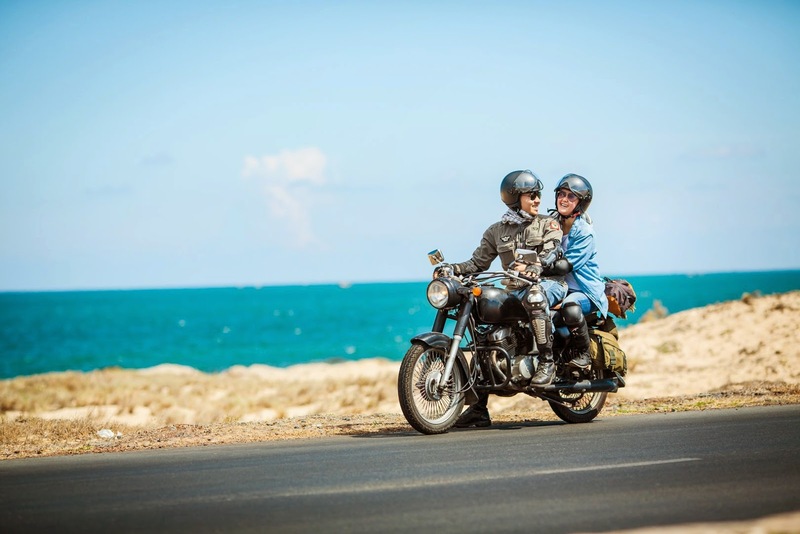 Before the trip, you should bring your motorbike to a motorcycle store to check and maintain for your motorbike (check tires, change oil for vehicle, check brake, check the lights…) in order to make sure that your motorbike is safe enough for you during the long distance. If you don’t have your own motorbike and you have to rent a bike from a shop, you need to ask them to prepare for you a good bike with good engines, it has to be equipped al least left mirror; vehicle registration, driver’s license, insurance of civil liability; quality helmet with glass, rain coat, elbow wrap and knee wrap… You don’t have to worry about running out of petrol on the way to Bai Chay- Halong because along the way from Hanoi to Bai Chay, there are so many gas stations. You don’t forget to drive motorbike follow correct lanes and regulation speed for the safety of yourself and other people. Bai Chay is far from Hanoi about 160 kilometers. It is located in Bai Chay ward in Halong city. Bai Chay is an artificial beach and it always attracts tourists in the beach tourism season. You can be a bit tired when traveling to Bai Chay by motorbike; however, you will have unforgettable moments in this journey. Many other people choose buses or trains to get Bai Chay, how about you? Are you ready to get Bai Chay- Halong by a motorbike?